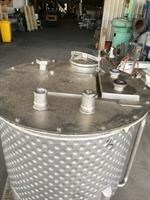 Stainless Steel Dimple Jacketed Tank 300 Litres. Cone Bottom with 50mm outlet. Last used as Chocolate rework Tank. 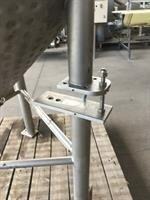 Stainless steel Milk powder transfer hopper, 450 Litre and 900 diam. 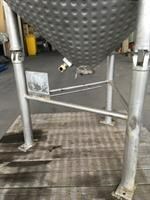 Stainless steel jacketed tank, with internal baffles. 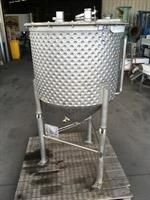 Overall tank dims are 1.9m tall x 800mm wide.